Once you’ve decided to buy a home, and you’ve saved enough for a down payment, and you’ve done your homework on areas where you want to live, it’s time to get going, right? Well, actually, there may be one more pretty important thing to factor in before you deep-dive into the home buying game: your level of debt. 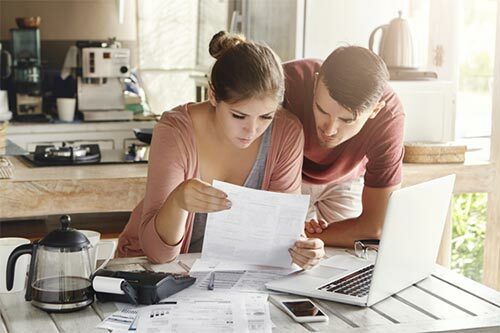 While it’s true that most prospective homebuyers will apply for a mortgage with some debt, the issue is really about how that debt stacks up against their total income. This is discussed in a New York Times article titled, Need A Mortgage? Keep Debt Levels In Check. The writer of the article advises borrowers to do everything possible to lower their “debt-to-income ratio,” which is a big factor in qualifying for a good loan. The question you’re probably asking, is: How do I figure out by debt-to-income ratio? Just add up all your monthly expenses and divide the total by your gross monthly income. Ideally, these ratios should be in the 36% range. And here’s something really important to keep in mind: Many lenders such as Fannie Mae don’t like to see debt-to-income ratios that exceed 45 percent. The reason is that high debt-to-income ratios may be an indication that you could end up stretched too thin on a monthly basis, and fall behind on your mortgage payments. But even if your debt-to-income ratio is high, there are other factors mentioned in the article that could still qualify you for a lower-interest mortgage. For example, savings that are equivalent to 12 months of mortgage payments, can help offset a high debt-to-income ratio. Other factors include a high down payment and outstanding credit. The big takeaway from this is that you really have to pay attention to your debt load before applying for a mortgage, especially if you’re aiming for a low-interest home loan. And don’t forget that having a lot of debt lowers you credit scores, which can affect the type of mortgage you’re offered. Ready to pursue that home of your dreams? Get prequalified to see how much you can afford. Call me at 972-499-4326 to get started.